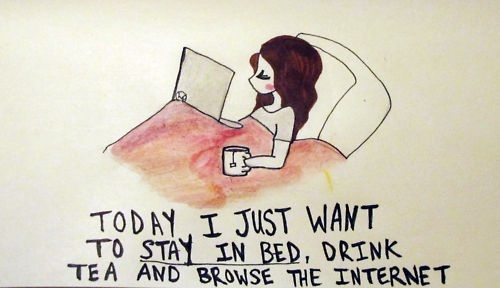 Today I want... to stay in bed, drink tea, and browse the internet. It's not so much to ask is it? I could go for a nice day full of my favorite site to browse: Pinterest, while sipping a nice cozy cup of almond cookie tea from Gypsy's Tearoom. What are your favorite sites to browse on a lazy day? What is your favorite tea to drink?